We have a little tradition in our family that my kids look forward to each holiday. It has become known by my girls as a “special breakfast”. With Christmas around the corner I wanted to share the breakfast they woke up to last Christmas morning. For this breakfast, I chose a turquoise and red color scheme and used paper plates for easy clean-up (and because I don’t own red plates). I had some paper doilies on hand and used those as placemats. 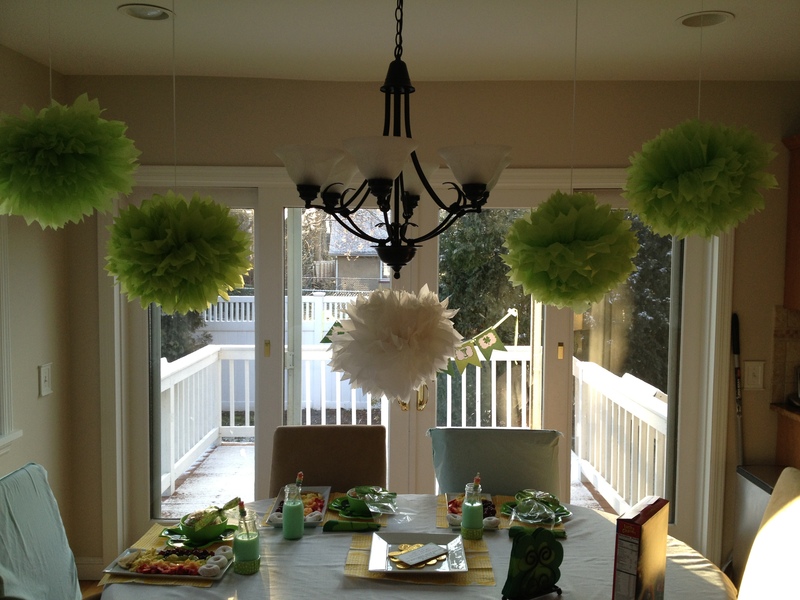 The breakfast itself is super easy to put together and super cute. All you need is a box of Entenmann’s Pop’ems powdered donuts (any brand will do, but that is what I used). 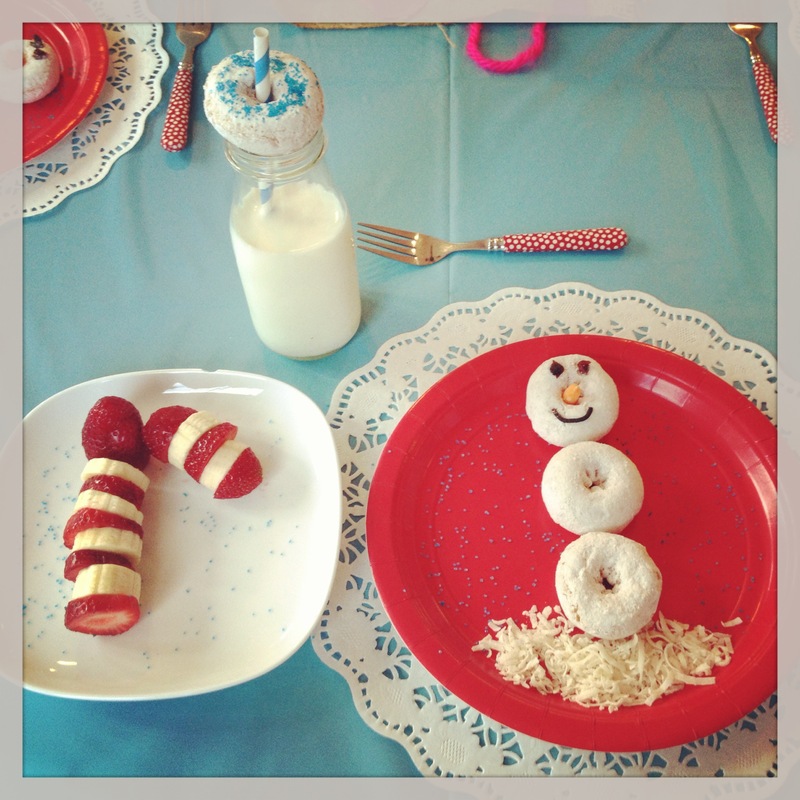 Using three powdered donuts, stack them on top of one another on a plate to make a snowman. Chocolate chips were used to make the eyes, a slice of the end of a baby carrot became the nose, and a small tube of black frosting was used to draw a smile. For snow, I used shredded coconut. I sprinkled the plate with some blue sugar crystals to add a little sparkle. I always like to serve fruit with breakfast, so I made a candy cane out of sliced strawberries and bananas. Recycled Starbucks Frappuccino bottles make great milk bottles. I topped mine with another donut which I bedazzled with blue sugar crystals and stuck a striped paper straw through the hole. The kids absolutely loved this breakfast! They’ve already asked if I can make it again this year. We shall see…whatever I come up with this year, I can’t wait to see them smile on Christmas morning. Happy Holidays all!